Dentistry and dental technologies international exhibition. Dentistry and dental technologies international exhibition is one of the most representative Romanian event in this field. 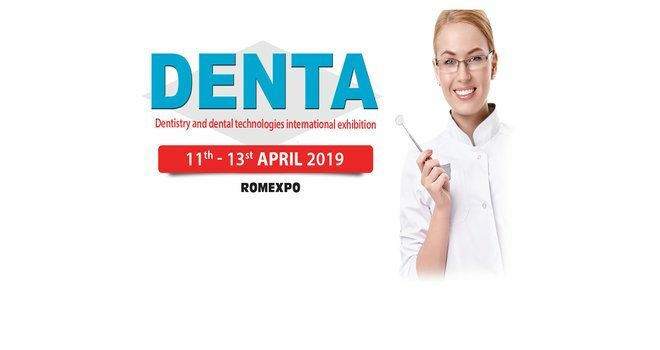 The DENTA 2019 exhibit will be held from 11 to 13 April, B1 Pavilion, Romexpo exhibition center, Bucharest. Why exhibit at Denta 2019 Bucharest? At DENTA Bucharest, you will have the opportunity to network in a business environment, to sign contracts and to purchase equipment, products and services at special prices, offered only during the exhibition. Furthermore, you will be able to take part in the events organized by Romexpo and exhibition’s partners: an international congress, theoretical courses, practical demonstrations/hands-on and presentations on the latest current topics. Don’t miss the opportunity to participate and exhibit! For exhibition stand design and construction at DENTA Bucharest, please contact our sales team.